The opening of Jaguar Land Rover’s first China factory caps a five-year resurgence under Indian ownership that has made the Coventry-based company a byword for British manufacturing excellence and export prowess. The new plant in Changshu, about a two-hour drive from Shanghai, marks a pivotal moment for JLR. The Tata Motors unit needs a manufacturing presence in China to consolidate its position in the world’s largest car market – but also wants to assure its British workforce and the UK government that international expansion will not jeopardise jobs at home. As part of that effort, JLR is boosting investment at its factories in Liverpool and the West Midlands and this month opens a new £500m engine plant in Wolverhampton – even as it plans to open another manufacturing facility in Brazil. Last week, JLR’s factory in Halewood, Merseyside began producing the new Land Rover Discovery Sport after a £200m investment that created 250 new manufacturing jobs and £3.5bn in supplier contracts. 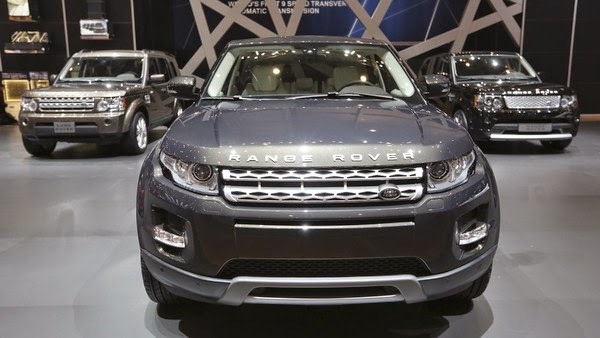 The Changshu factory, a Rmb10.8bn ($1.8bn) joint venture with state-owned Chery Automobile that opened on Tuesday, will produce JLR’s less expensive Range Rover Evoque for the China market, where the company sells almost five SUVs for every one Jaguar saloon. On Tuesday, JLR said that it also intended to produce a Jaguar saloon model at the factory by 2016. “The demand that’s here in China will far outstrip [Changshu’s] capacity so we have absolutely zero plans to export any cars whatsoever,” Bob Grace, JLR’s China head, said at this year’s Beijing Auto Show. Mr Grace hosted UK trade unionists in China at the outset of JLR’s investment programme in an effort to allay their fears. “You can imagine the thoughts that go through their mind when you open a factory in China,” he said. Roger Maddison, at UK union Unite, was one of JLR’s guests and says the union accepts the logic of the Changshu investment but has concerns about the longer-term trend it signals. Tata bought JLR from Ford in March 2008, a week after JPMorgan bought Bear Stearns. When Lehman Brothers went bankrupt six months later, the global financial crisis began in earnest and Ratan Tata, then chairman of the Indian group, had plenty of reasons to regret his purchase. But the Indian provenance of JLR’s new owner hinted at the multinational nature of its future transformation, which would be built on surging demand in developing economies. The most important of these was China, whose emergence as the world’s largest car market coincided with the US government’s December 2008 bailout of General Motors. “During the early part of 2009 we were pretty close to the wire as a business,” said Mr Grace. “But I used to come to China once a quarter and got a sense that something different was happening in this place . . . It’s almost a miracle that the [China] factory has come out of the ground in such a short period of time.” JLR’s joint venture with Chery was announced less than two years ago. Bernstein Research predicts JLR will sell 130,000 vehicles in China this year, compared with 54,000 total units in 2009-2011. The Changshu factory’s initial annual production capacity is 130,000 vehicles but output is expected to ramp up gradually over the next few years. “No other [carmaker] has benefited as much from China,” Max Warburton, senior analyst at Bernstein Research, wrote in a recent report. The country now accounts for a third of JLR’s total sales and, Mr Warburton estimates, more than half of its earnings before interest, tax and depreciation. In its latest quarter JLR posted pre-tax profit of £924m, on revenues of £5.35bn. But the success has been driven by the Land Rover side of the company – in particular the Range Rover Evoque, a sporty 4x4. JLR sold more than 90,000 cars in China last year, but only 16,000 of these were Jaguars. The big three German brands – Audi, BMW and Mercedes-Benz – sold more than 1m. JLR joins the “big three” Germans as the fourth big premium carmaker to begin manufacturing operations in the world’s largest car market. Annual sales of premium vehicles, currently about 1.3m, are expected to reach 2.5m-3m units by 2020. But the Germans dominate the sector, with a combined market share of about 80 per cent. JLR estimates that local manufacturing has allowed its German rivals to reduce prices by about 15 per cent on average, thanks to savings on import tariffs and other costs. The UK company, by contrast, has what Mr Warburton calls “the most egregious pricing in China”. JLR reduced prices on some Range Rover and Range Rover Sport models earlier this year in China, in response to a concerted campaign by the National Development and Reform Commission to drive down the pricing of vehicles and spare parts. But the price differential between the same Land Rover models sold in China and other markets remains wide, with a top-end Range Rover selling for the equivalent of £85,400 in China and £44,000 in the US.